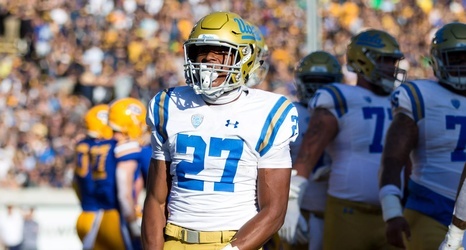 Wednesday night, I appeared on Behind the Mic with Brad Dalius to discuss the UCLA Bruins’ performance last week against Oregon and to preview this week’s matchup against the Arizona State Sun Devils. You can tune into KABC every Wednesday night at 11 pm PT when I will join Brad and his co-host Keith to discuss the latest with the UCLA football and, if you have questions, you can call into the show at 800-222-5222. Here’s the audio from this week’s show.